I wake up every day hoping to live and lead in a way for you to personally “experience the difference” and hoping that through our interaction, you will be encouraged to “live the difference” personally. My dream is simply to give everyone I have been honored to meet, influence, and serve a glimpse of what certain values have done for my life. I am humbled I had the opportunity early in life to learn the “difference” for myself. In my time working for the legendary leader, Bob Moore, I caught the bug to do something special...to recognize the value in others and cast legendary vision for those around me. Along that journey, my dad was my encourager, my friend, and at times, my pain, but always the one who would push me to live beyond myself into something unique. I began to find it consuming me. It would become the urge that wakes me up each morning...the thing that gives me chills. It made me nervous...knowing that in every moment, there is an opportunity and how I respond in that instance will ultimately decide if others would “Experience the Difference.” Today, that “difference” is what I strive and live to share with others. I spend every moment of every day attempting to create for my family, my friends, our team, and those we are honored to serve. Have I perfected it? No. There are moments I am proud of, and moments I would love to hit “redo”, but that is all part of the “difference.” It involves having grace for ourselves and each other—to never let our messiness define or slow us down but instead to let it motivate us to move on, and help others each and every day along their life’s journey. How do we define “the difference”? We don’t. We simply live it. We hope that as we live it, lead it, and guide it in every moment, it will have such a profound influence that you’ll choose to live it with us. I hope and pray that this is your day to start “experiencing the difference.” It can start today! Thank you for giving me the opportunity to share the difference. I invite you to start living the difference with me and our family today. We would love to welcome you on this adventure with us. In 2008, one handshake in Paul’s Valley America would change the way auto business would be done in the valley forever. 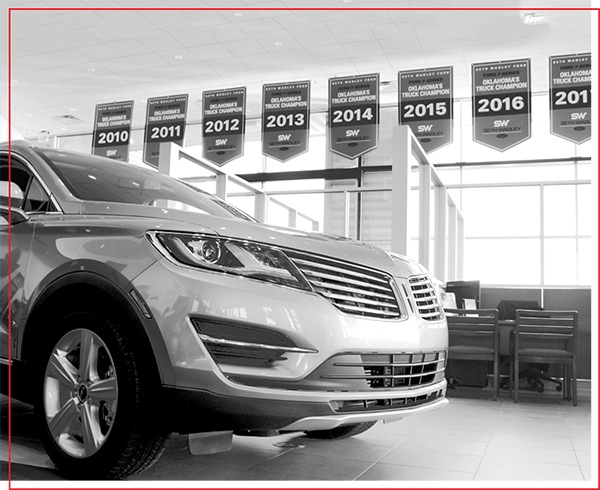 What seemed to be just another transaction of a local auto dealership being sold was actually the launching of a legendary brand that would soon sweep the area. 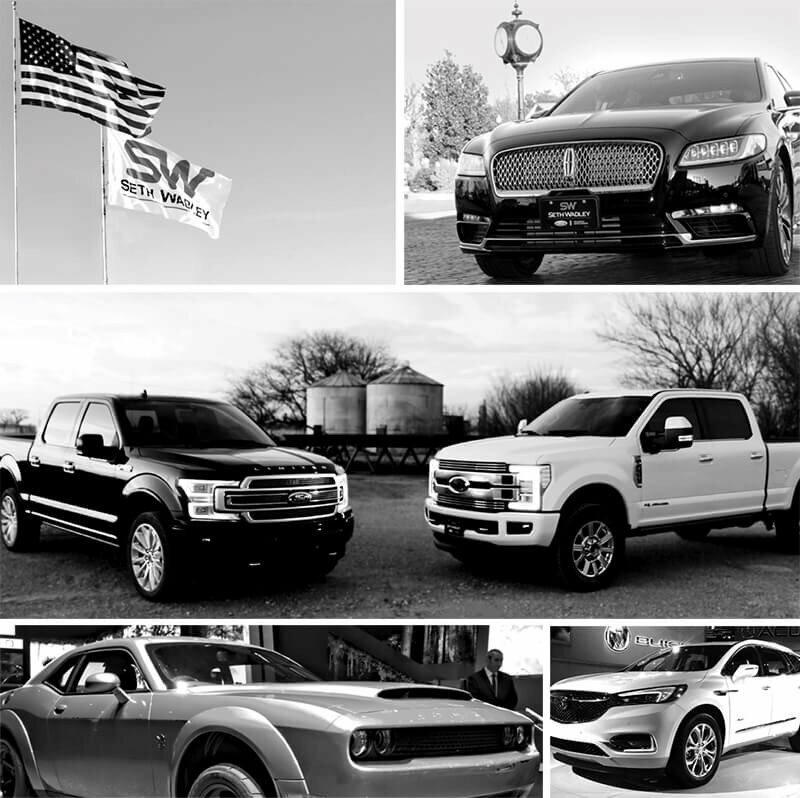 With one swipe of a pen, what had been known as a “rural, local Ford store” would soon become the catalyst for the leading edge of helping people find their perfect truck or car. With the pen still warm and all things pointed upward, Seth would continue to build the legendary auto group in 2012 by adding Chevrolet, GMC, Cadillac, Dodge, Chrysler, and Jeep...and things were just getting rolling. The “Seth Wadley Difference” was already felt near and far. Buying cars would once again be enjoyable, forthright, and a blessing to all. With life in the valley humming with a great rhythm, Seth had an opportunity to expand the legendary difference in nearby Ada. The team went “all in” in transitioning the Chevy store in Ada to the “difference” people had quickly begun to know and love and kept up the pace by adding yet another Ford location in Perry during August of 2018. Now, you can experience the difference with Team Wadley with any of the eleven new American lines, hundreds of well-maintained pre-owned vehicles, a service team that can tackle anything, and now, the all-new Fiat Spider convertiblefor those perfect days of life in the valley. How did it all start? One word...naturally. 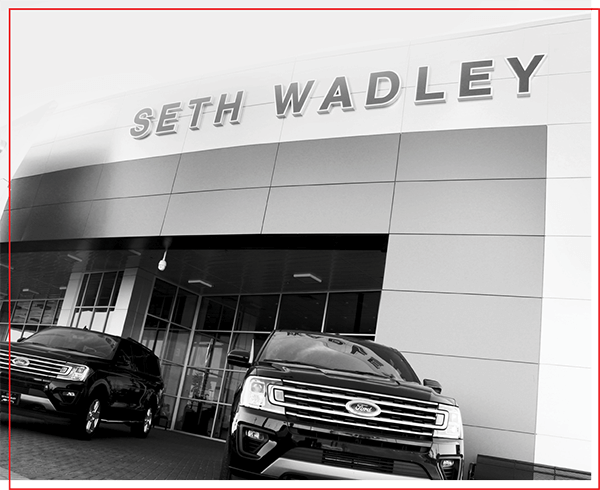 Seth began in his teenage years serving dealers throughout the Oklahoma City area. As he became a student of leadership, he began to articulate in his heart how one day he would “define his difference.” As Seth would continue to grow in business, “the difference” began to affect his personal life. He would meet and marry his wife, Nina, who would give birth to their son, Spence and their daughter Blake. The family lives in Norman but is always up for an adventure together as they enjoy exploring life together. That same passion felt in all areas of the Wadley’s life would become evidenced in their passion to help others also. So “experiencing the difference” is so much more than a motto for the Wadley family! They are blessed and humbled to have the opportunities to help others and to support their local communities in many ways. While the adventure has been nothing less than miraculous thus far, Seth looks forward to aggressively pursuing the future with his family, his work family, and his community. There is nothing more gratifying to him and his family than helping young people live into their potential and dreams. We see a team whose influence is so unified, effective, and passionate that the communities around them cannot ignore it. We see a team whose heartfelt compassion and humble willingness to serve catches the eye of all those who happen to be watching. 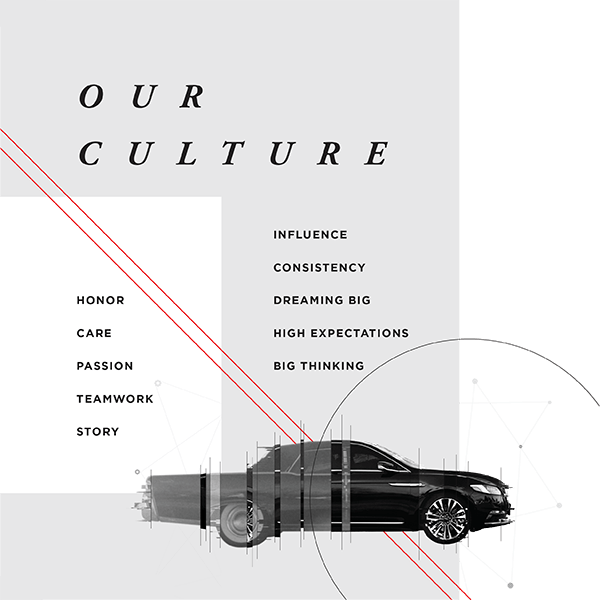 We see a team whose standard is honor and banner is excellence, consistently delivering our services with expediency in every aspect of our business. We see a team whose sense of urgency sets the standard for the industry, is an inspiration to the community, and can’t help but light a fire of excitement to all who are touched. We see a team who is so committed to one another’s success that their every day goal is to make those around them the most successful people on the team. We see a team who is so confident in their future that they are continually raising up the next generation of leadership, creating opportunities for them to live into their potential and dreams, and taking the “difference” to new cities around ourregion and nation. We see a team who is so generous that selfishness is a moot point. A team so committed to serving one another, our customers, and our community that it challenges all of our friends to live a life of extreme generosity. We see a team that is so committed to raising, training, and empowering a leadership generation that will further “the difference” that all of it’s functions are consumed with this one goal. We see a team whose outcomes are nothing short of miraculous. A team that believes big, plays big, and living legendary every day! Yes, that dream could very well be you, Team Wadley! First, all blessings flow through relationships...meaning no matter the situation, the relationship and the story of the person we are partnering with is our priority. Secondly, in recent years, I have come to truly believe that “God can do anything, you know—far more than you could ever imagine, guess, or request in your wildest dreams...the glory of God.” Ephesians 3:20. While my faith is a daily journey, I dedicate my life to honoring God, building healthy relationships, and having a blast in all that I do. 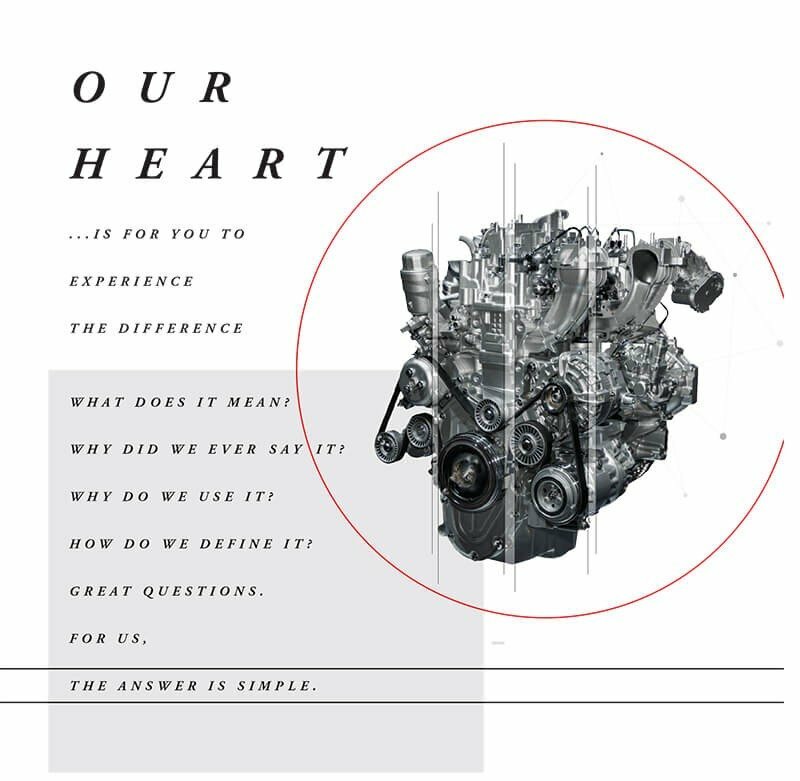 Please know, that every sale, service appointment, finance, or referral means more to us than a “transaction.” We view it as you placing your trust in us and investing in us so that we can continue to invest in the generations to come–so they might be the “difference” in their world some day. Thank you for your commitment! 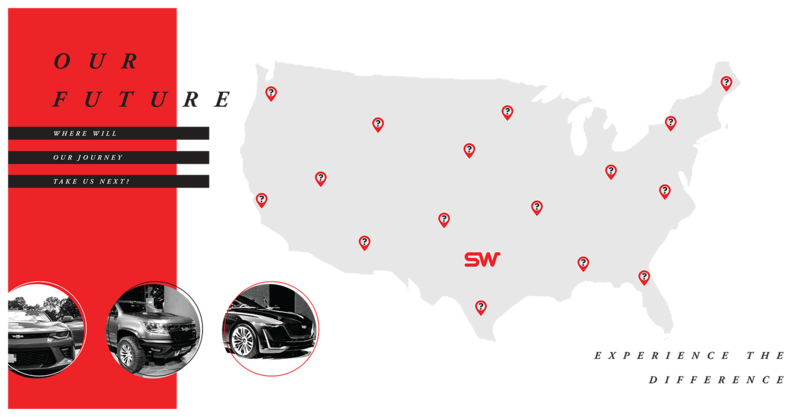 We look forward to many more years of partnering together to making your car needs simple and pleasurable.